With their smooth, creamy texture, and total versatility, avocados have become an increasingly trendy fruit (yes, fruit!). But let's set the record straight on avocados containing a lot of fat: The heart-healthy kind here is actually goodfor you in moderate amounts. Now that we've cleared that up, read on for more about this superfood. Lower LDL cholesterol: The unsaturated fats can get "bad" cholesterol in check. Help your heart: The fats and fiber reduce your risk of cardiovascular disease. Promote eye, skin, and bone health:Phytochemicals like carotenoids and phytosterols reduce oxidative and inflammatory stress. Avocados are rich in mono- and poly-unsaturated fats, the kind that actually reduces your risk of heart disease and stroke. Clinical trials have consistently found that eating avocado can lower your LDL cholesterol and improve lipid and lipoprotein profiles. Will they make you gain weight? 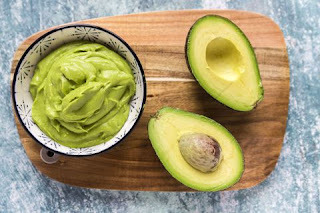 Studies have shown that moderate consumption of avocados and other healthy fats can actually promote weight loss through its effect on satiety. The water content and dietary fiber help you feel full, meaning you're less likely you are to overeat throughout the rest of the day. Try integrating them into a DASH (Dietary Approaches to Stop Hypertension) or Mediterranean-style eating plan if you're looking to lose or maintain weight. How much can I eat and what should I eat them with? Should you eat the pit? You may have heard that you should eat the seed of an avocado because it contains beneficial antioxidants and fiber. However, the California Avocado Commission does not recommend eating the pit. While preliminary studies have shown that the avocado seed does contain various phytochemicals, studies have only looked at their functional properties in rats, in vitro, or topically. No studies have examined the effects (or safety) of eating the entire pit for humans.